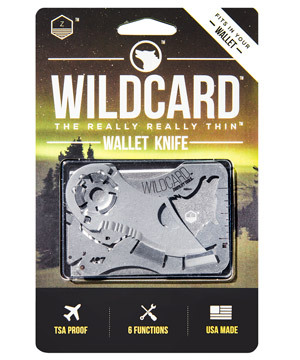 Zootility WildCard: Thin knife and multi-tool for your wallet. Whether you’re exploring the wild or taming projects around the house, you need to have the right tool at the ready. The Zootility Wildcard combines two different types of blades and four other unique functions into a multi-tool about the size of a credit card so you’re never left unprepared. 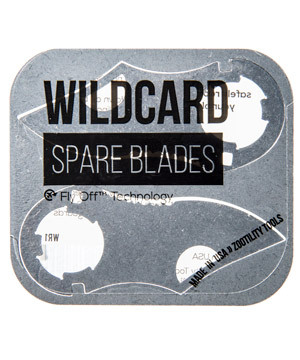 The Wildcard’s unique design marries safety and ease of use: the blades lock in both the open and closed positions with blade protectors keeping the sharp edge sheathed when not in use. 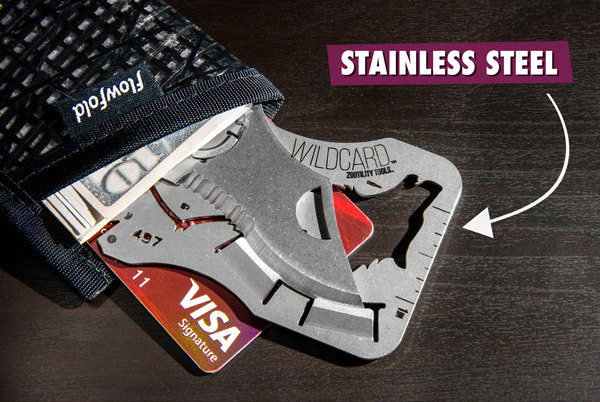 Tuck the slim stainless steel card into your wallet so you’re ready to tame your next odd job and slay a cold one after. The Zootility Multi-Tool keeps you ready for whatever life throws at you—even if someone is just tossing you a cold beverage. The animal-themed card tool has evolved six different functions, but the heart of it is the cleverly designed foldable blade. Press down on the locking tab to release the knife, allowing it to rotate parallel to the top of the card where it locks into place. Press on the tab again to tuck it back into the center of the tool where two blade protectors keep it from doing harm. It’s a beast of a multi-tool. The Zootility Multi-Tool is more than just a knife; its array of functions give it the versatility to conquer a wide range of tasks. The knife has both a straight and serrated edge so you can choose the best cut for your material. There are two sizes of slotted screwdriver heads in the corner with a pry bar (perfect for removing old nails) snuggled between them. When you need a quick measurement, use the ruler on the right edge (which has both imperial and metric markings). If you just need to unwind, the wolf-shaped bottle opener howls for another drink. Be a home repair animal. 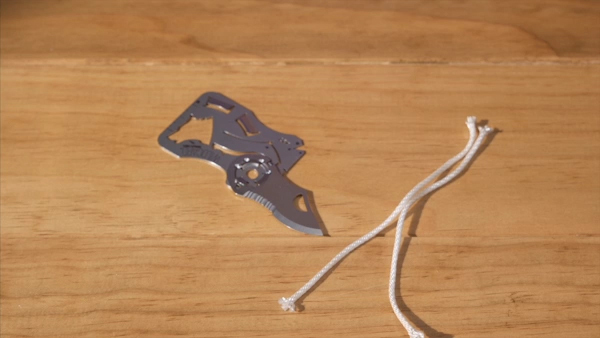 An easily concealed knife has a lot of uses, but impressing TSA agents isn’t one of them. 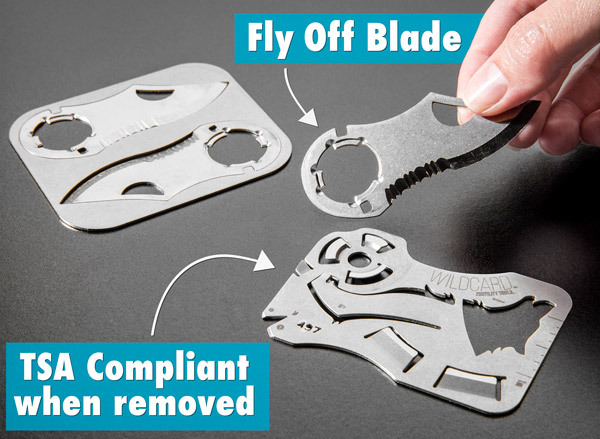 The Zootility Multi-Tool’s blade easily detaches from the body so you can take the other functions with you when you travel. When you get back home, simply reattach the blade to your multi-tool and you’re ready to start cutting again. If you unexpectedly find yourself having to ditch your blade to get through a security line, order a two-pack of replacement blades and you’ll be back in the cut. Add travel-friendly to its list of functions. A multi-tool that solves everyday problems is only useful if you can carry it with you every day. 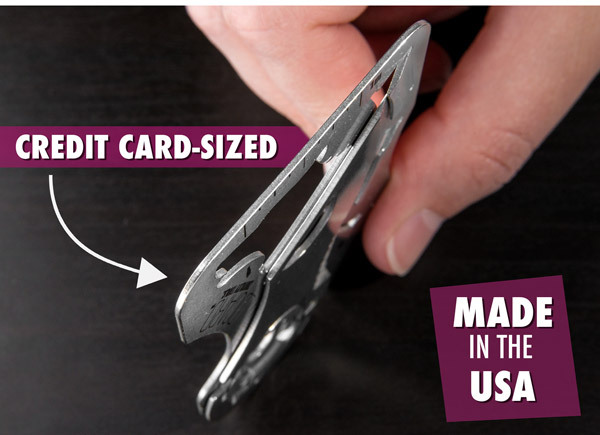 The Zootility Multi-Tool is about the size of a credit card so you can slip it into your wallet for daily carry. At 1.1 oz, the stainless steel tool is tough but incredibly lightweight. More useful than those expired gift cards you’re still carrying. Question: How big is the ruler? Answer: The ruler on the Zootility Multi-Tool has markings up to 1 inch. The reverse side of the tool has markings up to 3 cm. Question: Will this cut my leg if I keep it in my pocket? Answer: As long as you keep the blade locked in the closed position, you’ll be fine. The Zootility Multi-Tool’s blade protectors ensure that you don’t get stray pokes during the day.